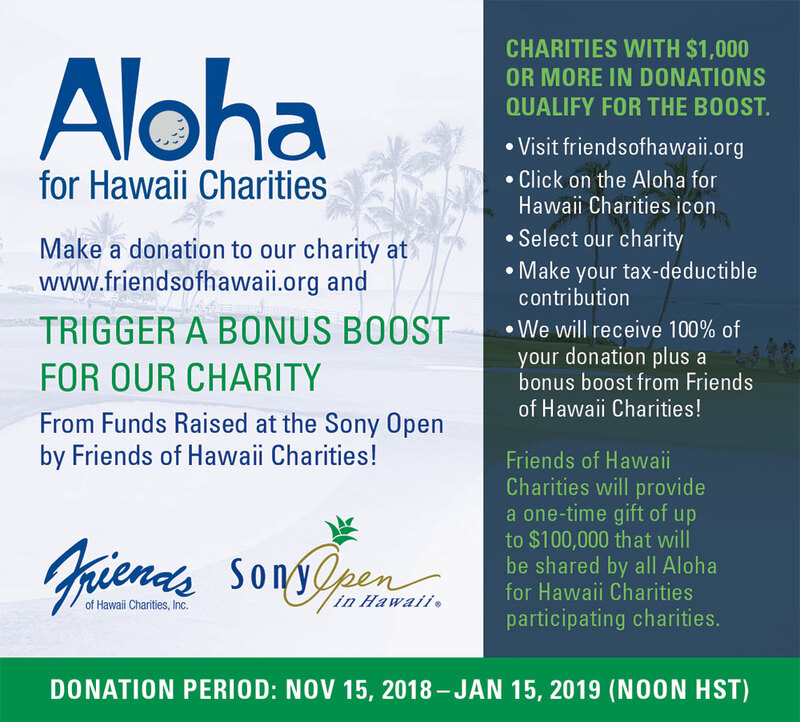 Aloha for Hawaii Charities Campaign - Hale ‘Ōpio Kaua‘i Inc.
Make a donation to our charity at www.friendsofhawaii.org and trigger a bonus boost for our charity from funds raised at the Sony Open by Friends of Hawaii Charities! Charities with $1,000 or more in donations qualify for the boost. We will receive 100% of your donation plus a bonus boost from Friends of Hawaii Charities! Friends of Hawaii Charities will provide a one-time gift of up to $100,000 that will be shared by all Aloha for Hawaii Charities participating members.